Amazon has been in Australia in a big way for only a year, but it's hard to remember how we lived without it. If you're not already an Amazon devotee, you will be after reading this. Amazon is a treasure trove of thousands of items, from fashion to tech, to literally everything in between, you'll soon come to forget how you lived without it. The clothing, shoe and accessory offering on Amazon Australia has rapidly expanded in recent months, so we trawled the fashion section to find the best summer finds, all under $100. Read on to shop a metallic pleated skirt that's perfect for Christmas parties, a straw hat for long days in the sun, and a pair of sunglasses that tick off two major trends. 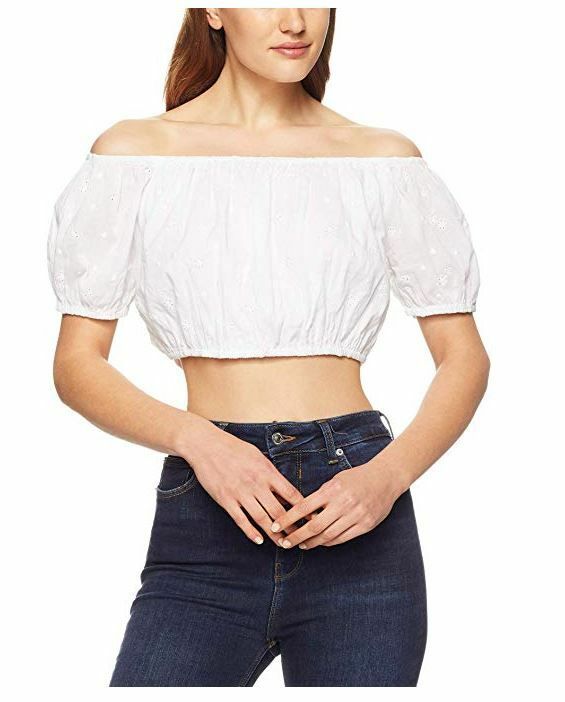 The perfect off-the-shoulder top to wear to summer BBQs. You can't go wrong with another white T-shirt in the mix. Wear the initial of a loved one around your neck. Polka dots are such a fun print for summer. Beach days are incomplete without a straw hat. We love slides with a pair of wide leg linen pants. Tick off two trends at once, sunny yellow and micro sunnies.